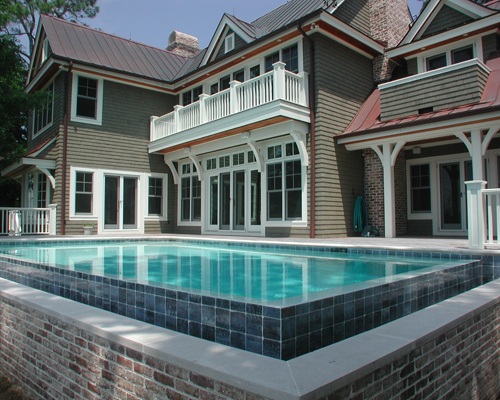 This swimming pool with natural stone wall and copper-scupper water features is located in Beresford Hall and was built by Aqua Blue Pools. 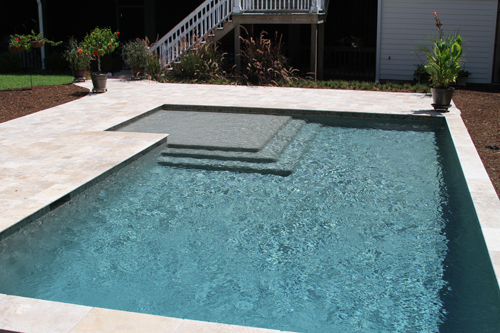 Notice the attached spa and hand-cut natural stone. 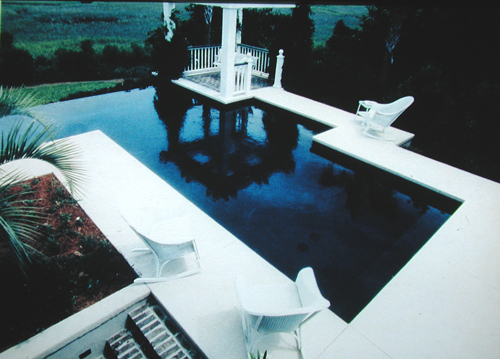 Infinity swimming pool built by Aqua Blue Pools. 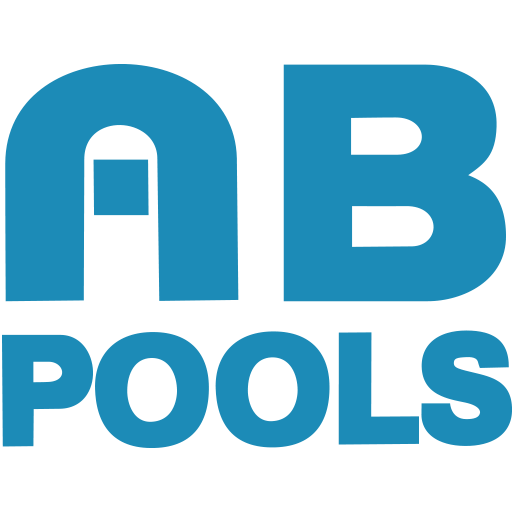 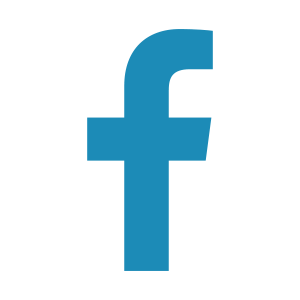 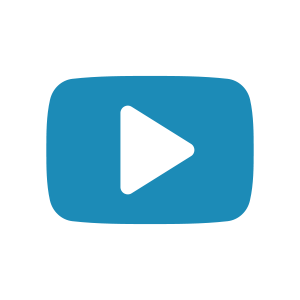 Aqua Blue Pools can build and design your next infinity swimming pool project. 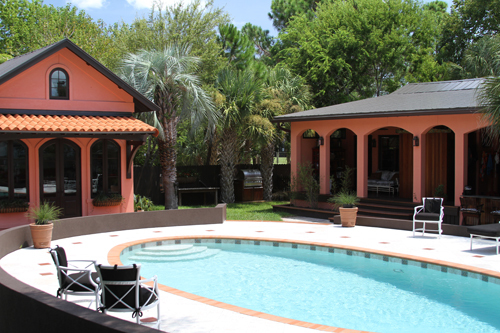 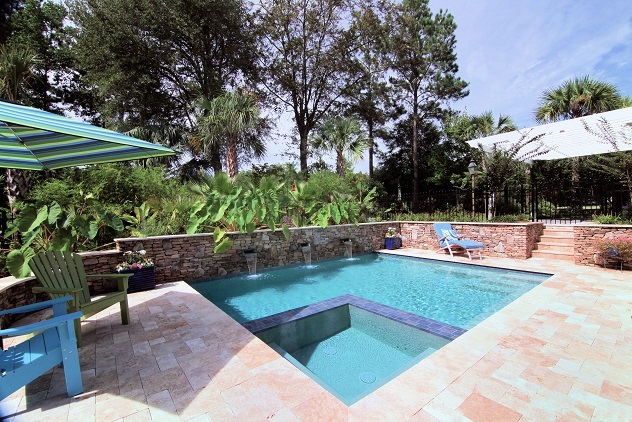 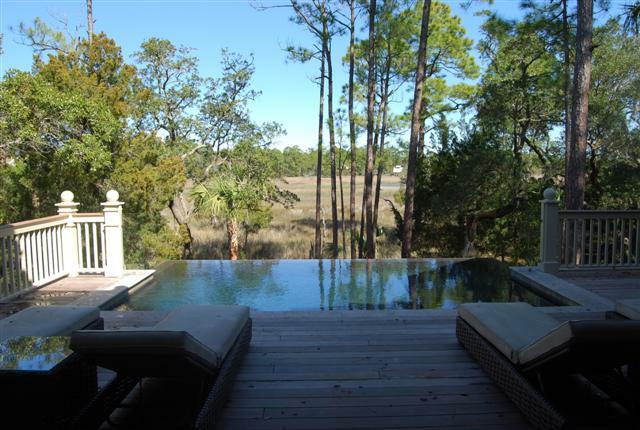 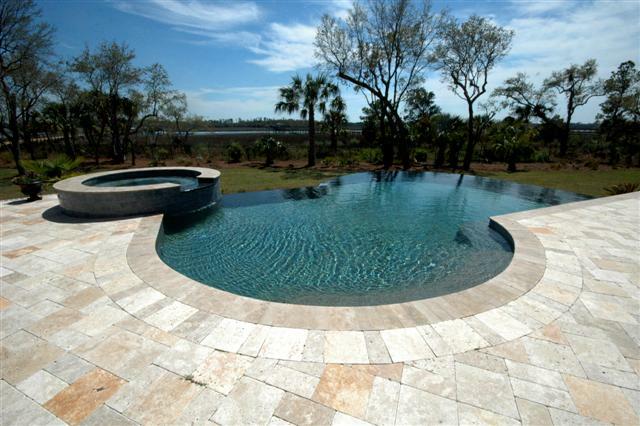 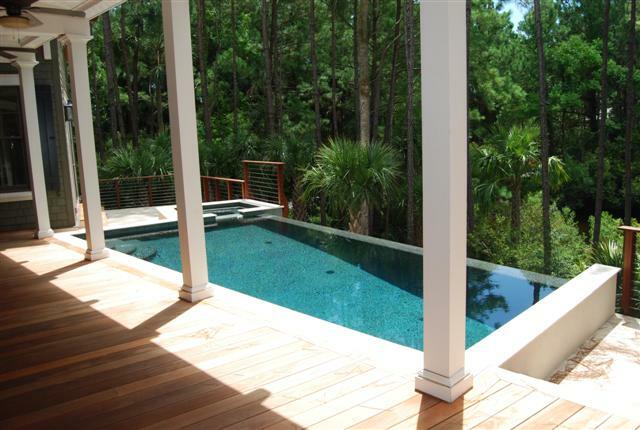 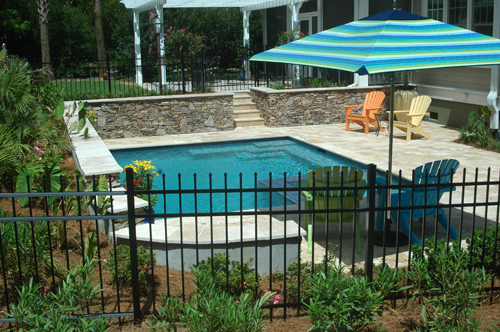 This oval shaped swimming pool is located on the Isle of Palms and was built by Aqua Blue Pools.